As with any major update, the Windows 10 Anniversary Update 9 Windows 10 Anniversary Update Features You'll Love 9 Windows 10 Anniversary Update Features You'll Love Are you still on the fence about the Windows 10 Anniversary Update? We have summarized the most important new features. Be sure to try all of them if you've already upgraded! Read More introduced certain users to new problems. Some people are complaining that their Internet connection has actually slowed down How to Speed Up Windows 10 From Boot to Shut Down How to Speed Up Windows 10 From Boot to Shut Down Registry tweaks and ominous cleaners rarely fix a slow computer. We have compiled a list of tried-and-true methods that will give your Windows 10 computer an instant performance boost. Read More since updating to the version of Windows 10. Sounds crazy; how could an OS update screw up your Internet? Well, as it turns out, Window Auto-Tuning Top 5 Vista Tweaks to Increase Internet Speed Top 5 Vista Tweaks to Increase Internet Speed Read More , which has actually been around since Vista, could be screwing up your Internet connection. It’s designed to improve performance for programs that receive TCP data, and it could actually slow down your connection. Don’t worry, though, because you can turn it off with the Command Prompt Windows 10 Receives a Full Linux Command Prompt Windows 10 Receives a Full Linux Command Prompt BASH shell, complete with a Linux sub-system, is coming to Windows 10 with the Anniversary Update this summer. That was one of the biggest announcements at the Build Developer Conference. Here's why this matters. Read More . Here’s how it’s done. Type CMD into the Windows 10 search box. Right-click the Command Prompt entry in the results and select Run as Administrator. Click Ok (or Yes) on the box that pops up. Type netsh interface tcp show global into the CMD window. Look for the entry Receive Windows Auto-Tuning Level. If the entry says normal, it’s on. If it’s disabled, then it’s off already. To turn it off, type netsh int tcp set global autotuninglevel=disabled and press Enter. Test your Internet and see if you notice an improvement. If it works out, then congratulations! If now, you can turn Window Auto-Tuning back on by typing netsh int tcp set global autotuninglevel=normal into the command prompt and press Enter. 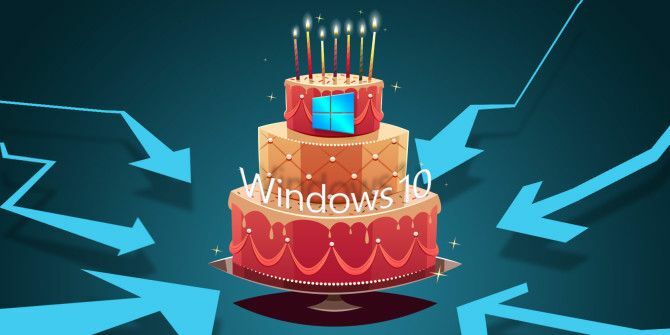 Has Windows 10’s Anniversary Update introduced any new issues to your system? Let us know in the comments and we’ll see if we can find a fix for you!